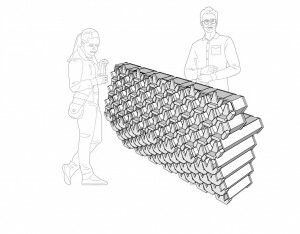 During this semester I had chosen for a design studio where we had to make a bar. 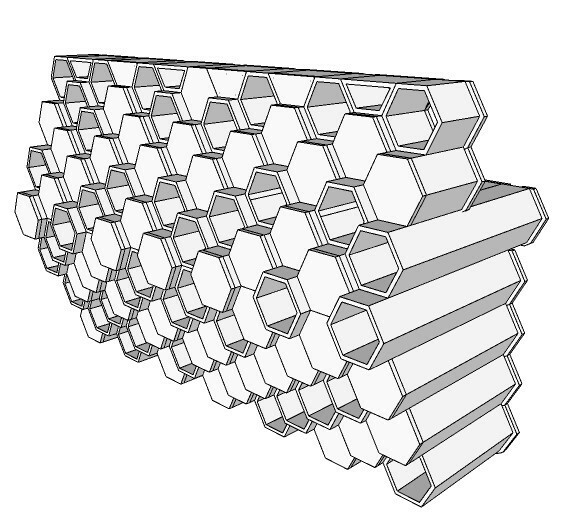 The bar that I created was inspired by a pineapple. 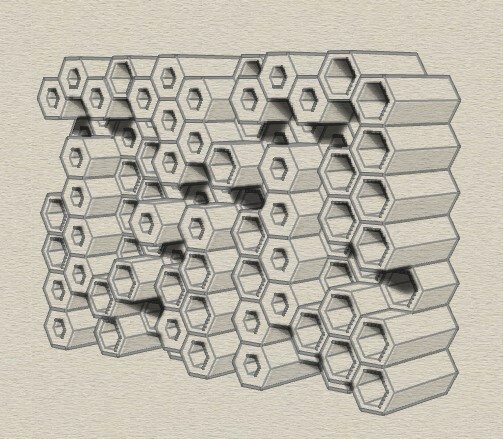 The bar was created out of hexagons and triangle shaped connections. For this assignment, I used only the hexagons and I tried to play with them. 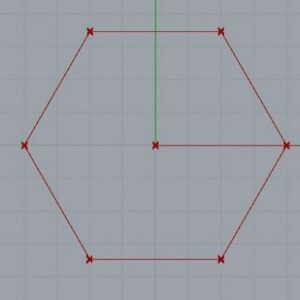 The second step was to extrude the hexagon into a chosen depth. 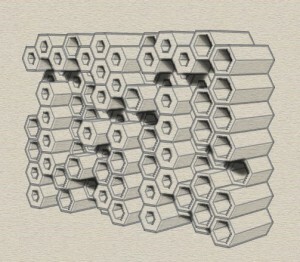 The cap holes are to make a full 3D geometry. 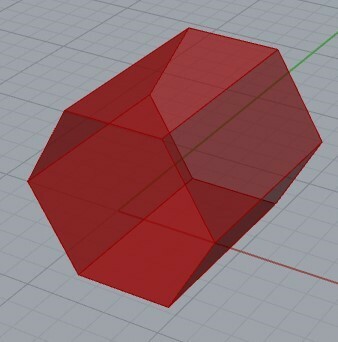 I’ve created an inner hexagon by using the offset of the outer hexagon in the XZ Plane. After that, I moved the geometry with the block depth. 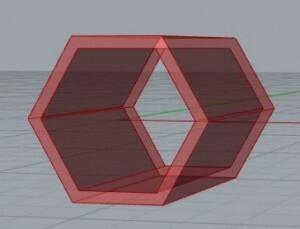 I used loft for creating the 3D geometry of the inner hexagon. 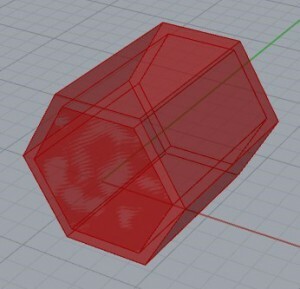 I used cap hole again to make a solid 3D geometry. 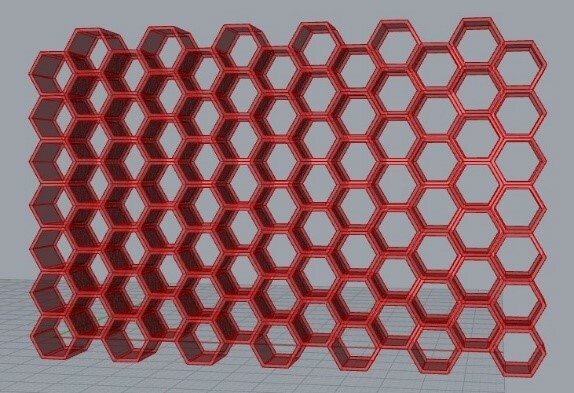 I’ve created a solid difference by using the cap holes of the outer hexagon and the cap holes of the inner hexagon. 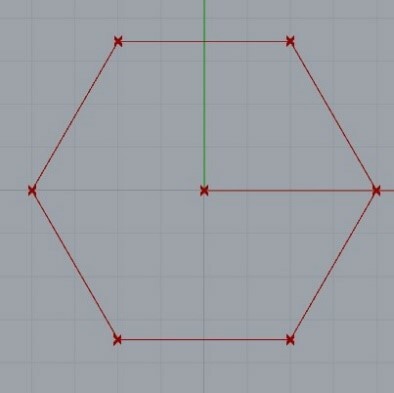 In this way there is a hole in the middle of the hexagon. 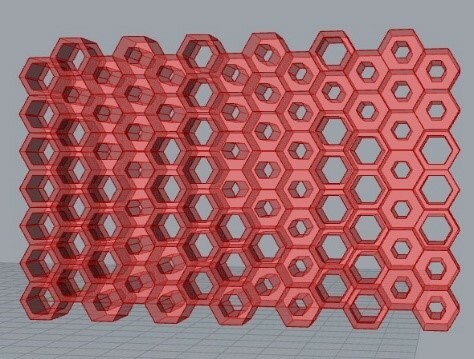 The next step is to create a ‘wall’ of hexagons. 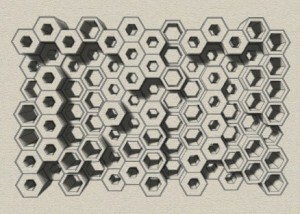 I used the same hexagon length as in the beginning and chose the length and the height of the hexagons. 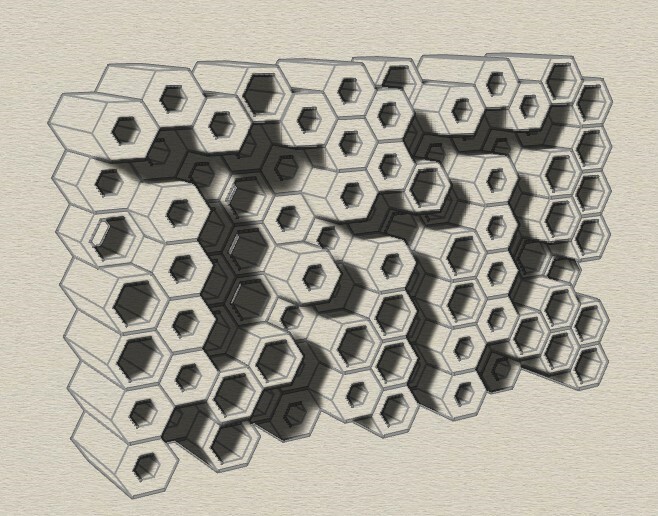 The hexagons are connected with the hexagon construction. 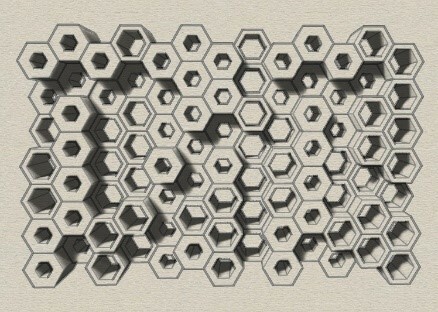 In this way all the hexagons are the same as the other hexagon I’ve made before. Using of an image sampler is to take information of an image to generate data to variate the wall structure. 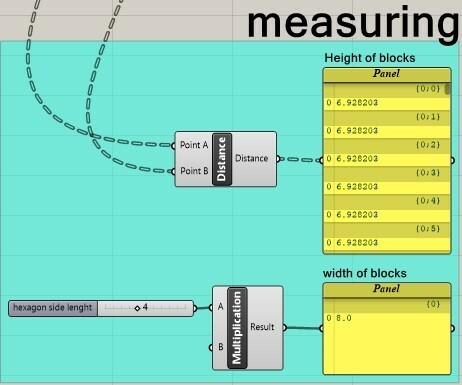 I measured the height of the blocks and the width of the blocks to shrink the area that the image sampler is going to calculate. 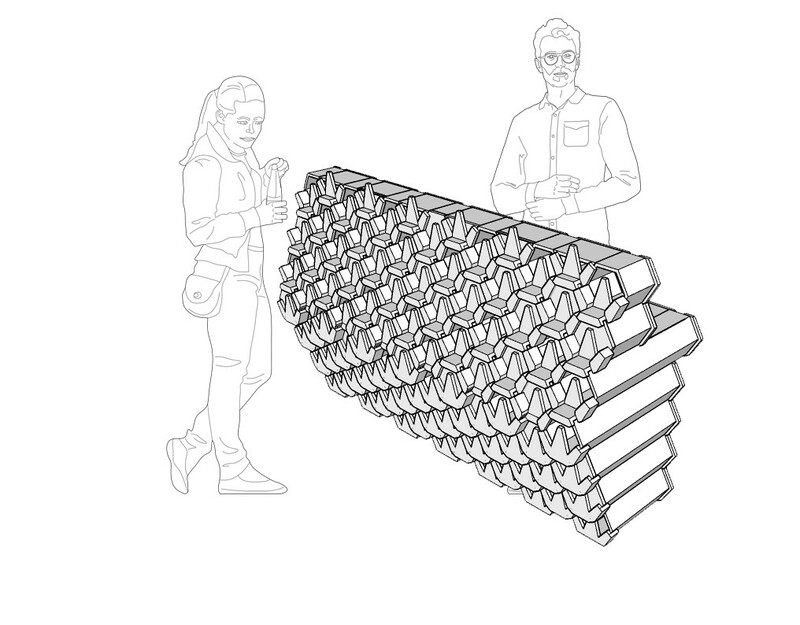 In this way you don’t have to reassemble the image all the time. 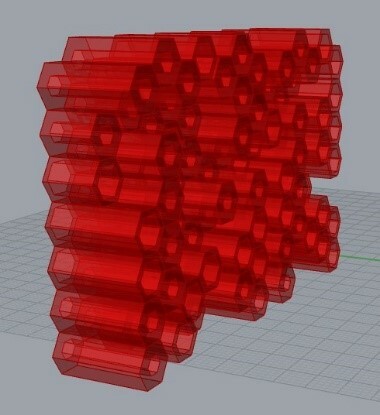 The next step is to make a variation of thickness with the hexagons by using the image sampler. First, you must take the measurements and see if all the values of the height and the width are the same. If this is the case, then you can use the image sampler. I also used the addition because some of the hexagons didn’t had a thickness. 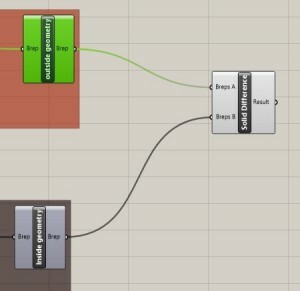 This step is the same as the previous one. I used another image.